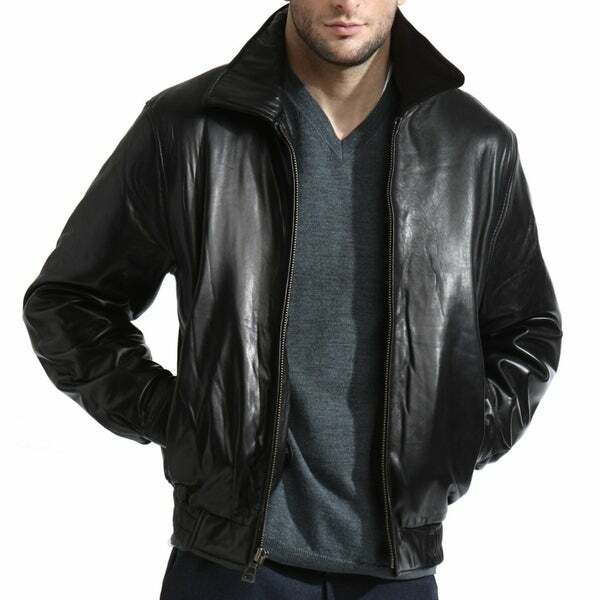 The basic black bomber jacket in a gorgeous finish lambskin leather. This leather is medium-weight, butter-soft and belongs in every man's closet. Fully lined but also has a zip-out liner that can be removed for multi-seasonal wear. Two front pockets, interior breast pockets to hold your essentials. A front zip closure and snaps on cuffs to keep the cold out. Gift yourself with a piece of luxury or your loved one this season. You deserve it!